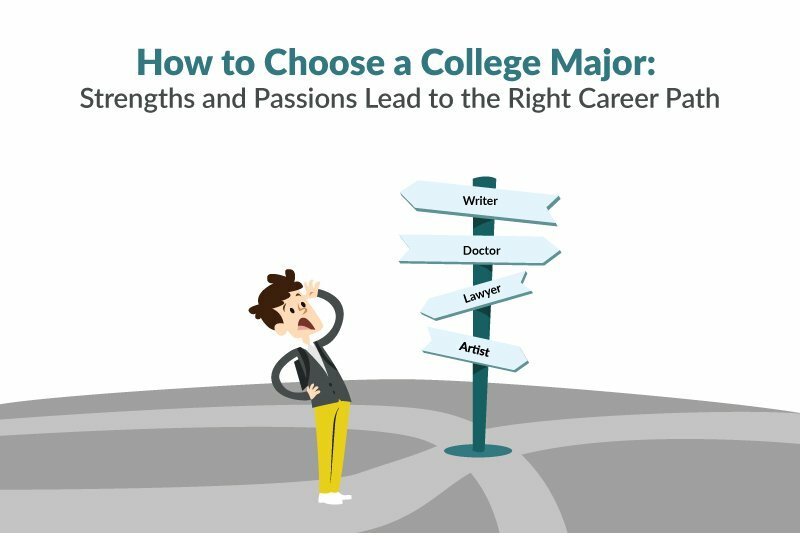 Trying to choose a college major can become overwhelming. Here are three simple questions you should be asking yourself. If you're having trouble choosing a college major, take heart. You're not alone. Almost two-thirds of U.S. undergrads change majors before graduating, according to Ejournal USA. Many switch out up to four or five majors before finally picking one. In fact, some institutions prefer that students not declare a major until after they have their college education underway. Generally, you can chalk up uncertainty about a major to the average college experience. To graduate, though, you do have to bite the bullet, declare a major, and complete the required coursework. Careful evaluation can help you find a good match and avoid taking thirty years to complete a four year degree! OK, despite the title of this article, you'll need to ask more than three questions to turn up the right major. You should start your decision-making process by taking a look at who you are, so actually you'll need to ask some good questions and perhaps perform a little research. What are your interests and values and how can your education further them? What are your academic strengths and weaknesses? Going with your strengths sets you up for success instead of frustration. Would you like to attend graduate school, or are you eager to begin working right away? Some careers have very high education requirements and a bachelor's degree won't get you a very high level position. How important is money? If money is very important, look for degree programs that lead to higher-paying jobs for new graduates--most often in technology, engineering, or business. How important is job placement? Employers swoop in to grab graduates in some fields; in others you may have to search extensively or even move to find work. Get out your college's course catalog. Which course titles pique your interest? Which departments sound intriguing? Try a low level course in an interesting program and see if you like it. Which courses did you enjoy most in high school and/or college? Go to the U.S. Bureau of Labor website and have a look at the Occupational Handbook. Which job descriptions look like good matches for you? Look online for interviews with people who work in fields that interest you, or interview a few folks yourself. Can you relate to them and their work experience? The more information you gather about yourself, the easier your decision will become. A guidance counselor or career-counseling center can also help you take an interest inventory. If you don't have access to such inventories locally, check with a U.S. Educational Advising/Information Center or similar program. The U.S. Department of State hosts the EducationUSA program, operating more than 450 of these centers in 170 countries. #2 Where Is The Money? The general wisdom to follow your heart when selecting a major has the ring of truth. But look deeply. How important is money to your happiness? You'll want to answer this question when choosing a major because your major will very likely impact your earnings. Those with degrees in the liberal arts seem to fare badly when compared with those completing their studies in chemical engineering. If you don't want to go to graduate school but want at least average earnings, you may need to consider these starting salaries closely. However, if you love the liberal arts you needn't resign yourself to a below average income. Many liberal arts graduates keep hitting the books in graduate school or professional studies. A student completing a B.A. in psychology, for example, faces a very different earning potential than a Ph.D. grad, who can practice as a psychologist or teach at a university. Likewise for someone with a B.A. in history compared to someone with the history B.A. and a law degree. Additionally, many employers prefer liberal arts degrees because they create well-rounded employees. Conversely, the specific knowledge afforded by degrees such as engineering and information technology can become obsolete--sometimes quickly--and these grads have to continually update their education to remain competitive in their professions. What you choose as your course of study has an impact beyond the four-years of classroom work. When selecting a major, familiarize yourself with your likely income, as well as the job and educational tracks typically associated with the discipline. #3 Where Are The Jobs? Nine of the 10 fastest growing professions are health or computer (IT) professions. Production occupations and farming, fishing, and forestry jobs are expected to fall over the next decade. Business and financial operations jobs are projected to increase faster than the 13 percent average for all occupations. Educational services, health care and social assistance, along with professional and business services are the industry sectors with the most robust job growth. The BLS projects these sectors will grow more than twice as fast as the rest of the economy. Some grads are willing to sling hash while waiting for the perfect professional gig to open up. Those with a drama degree, for example, may continue to find service jobs much easier to land than leading parts, as five out of the ten occupations adding the most jobs are in service. Most actors are not particularly surprised at having to work outside their field to pay the bills. You needn't choose your major based on job projections, but you should acquaint yourself with the projections for any career you're considering. To do this, head over to the U.S. Bureau of Labor website and have a look at the Occupational Handbook. Author Joseph Campbell says to follow your bliss. That's good advice. But first you have to get to know yourself well enough to determine what you truly want. You can't follow your bliss if you don't know where it is. Edu411.org is a career education directory for finding colleges and universities, training schools, and technical institutes. For more information about careers, online education and campus based career programs, please visit us at www.Edu411.org. 0 Response to "How To Choose A College Major"